It’s been a long time. I could excuse myself for a number of reasons. Husband on a business trip for 10 days and I alone with the 16 month old boy. Worst winter storm in 20 years. Power outages. Possible insanity while all this occurred at once. If I were honest, however, it has just been a lack of inspiration and motivation. I haven’t really felt like cooking anything new or inspired by anything I have been reading in the cooking world. It may also be true that I have a really good set of “go-to” recipes that I find difficult to stray away from. Then my husband returned, the snow melted, the power was provided and a fire was lit under me. I went to a dinner party recently and someone mentioned putting beets in their chili. Garnish: Sour Cream, Cheddar or Cojita cheese. Beets in chili? This I had to try. It also felt like a fairly easy gate way recipe to new and more exciting adventures. I put together my favorite chili recipe, with a few tweaks, and added some beets. Outcome? Tremendous. 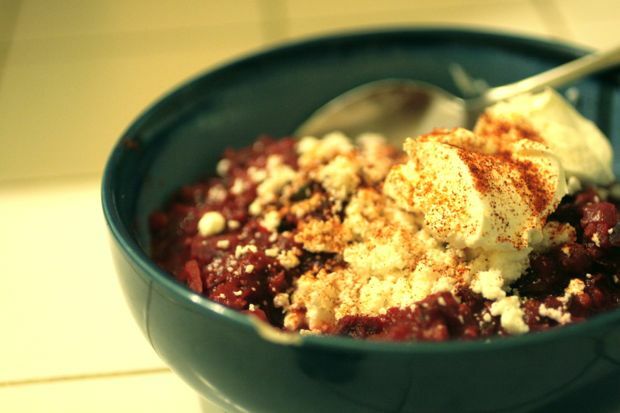 The beets add heart and earth to the chili without making it taste like…well…beets. 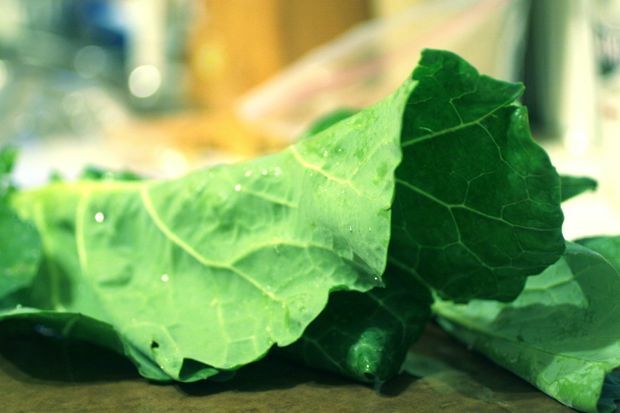 I also decided to throw in some finely chopped greens to up the ante even more. I did learn, however, it is wise to either put everything in the slow cooker for the day so the beets get nice and tender or boil the beets until tender before adding them to the chili if you are short on time. Get adventurous, try this out. 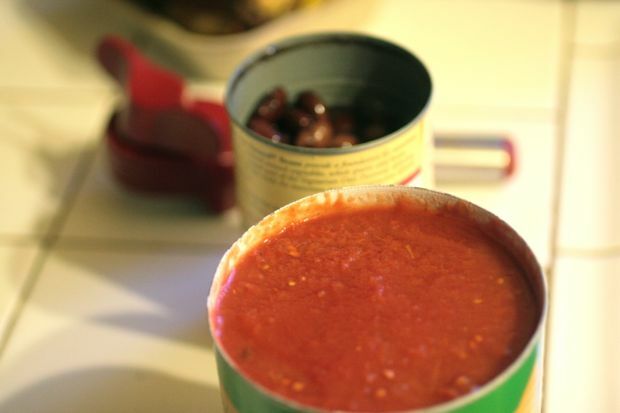 I swear your kids will adore it and only the redness of the chili will give away that there is anything different. If using a slow cooker/ crock pot: Throw all ingredients in, turn to low and let go for 6-8 hours. Garnish with cheese and sour cream. If using a traditional pot: Place diced beets in tall pot. Pour water in pot until beets are barely covered. Place pot on stove and bring to boil. 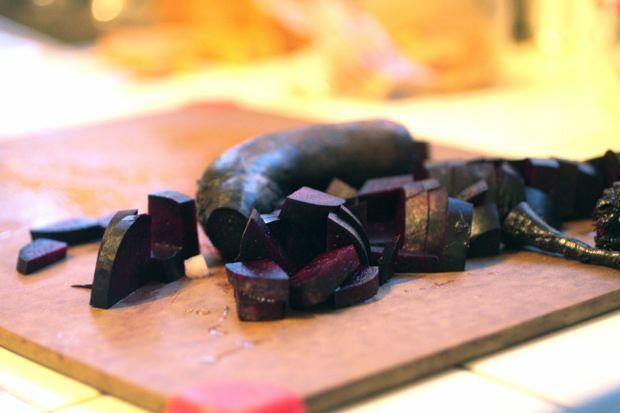 Boil until beets are tender (15-40 minutes depending on size). Drain water and set beets aside. Sauté onion in oil until tender. Add garlic and sauté about 2 minutes more. Add beans, tomatoes, beets, chopped greens, smoked paprika, cooked ground meat and chili seasoning. Bring to boil. Let simmer 20-30 minutes. Add broth as necessary if chili becomes too thick. Garnish with sour cream and cheese. I also made vegan squash cornbread muffins to go with dinner.